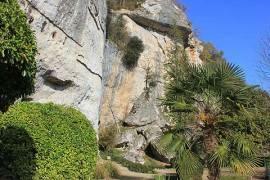 The Troglodyte Village of Madeleine is found near the village of Tursac , just to the north of Les Eyzies. 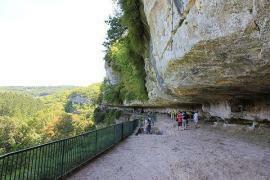 There is evidence of human occupation in the rock shelter of Madeleine from prehistoric times. 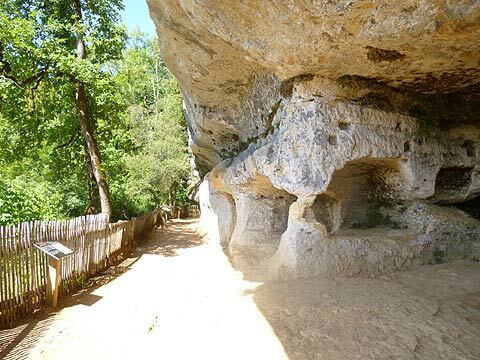 The natural rock shelter at la Madeleine has been home to humans since pre-historic times. 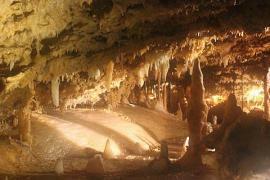 The site gave its name to a whole period of prehistoric history - the Magdalenian period. A period of semi-nomadic hunter-gatherer tribes around 17,000 years ago. Various important prehistoric carvings were found at the site including a carving of a Bison licking an Insect bite, which is carved on an antler and can be found at the National Prehistory museum at Les-Eyzies. A perforated baton with a horse engraved in low-relief can be seen at the British Museum. In total about 500 pieces of art work were found and these are shared around about 50 different museums. 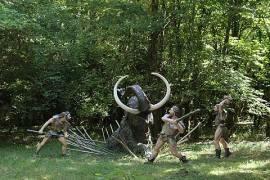 Unfortunately the prehistoric shelter is not open to visitors. 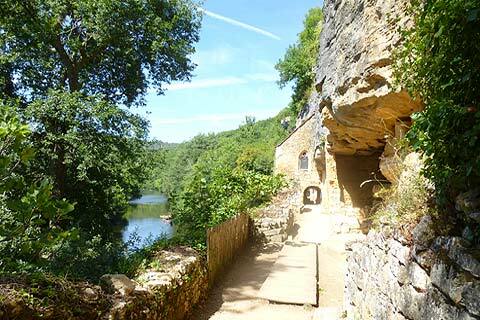 Above the prehistoric shelter the rock face at La Madeleine is such a sheltered site that in Medieval times it was turned into a troglodyte village - Village Troglodytique medieval de La Madeleine. 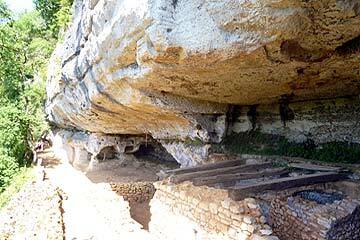 The natural shelter was enhanced with stone walls to make a series of dwellings. Various remains of both animal shelters and human shelters can be seen at La Madeleine. 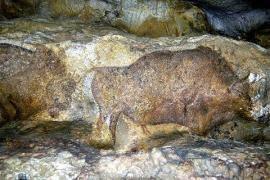 Animals would have been sheltered at the first level of the troglodyte settlement with an upper level created with wooden floors and wood and wattle and daube walls. Evidence and explanations of the settlements are provided at the site to be able to understand how the shelter developed. 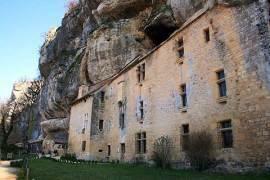 There are the remains of a small chateau above the troglodyte village, the Petit Marzac. This was begun in the 8th century and allowed the village to expand and increase in importance. 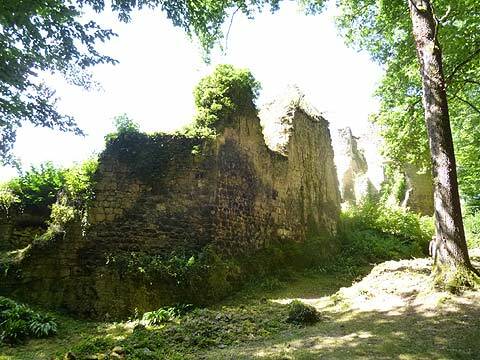 In the 12th century the Hundred Years War led to further fortifications of the village. 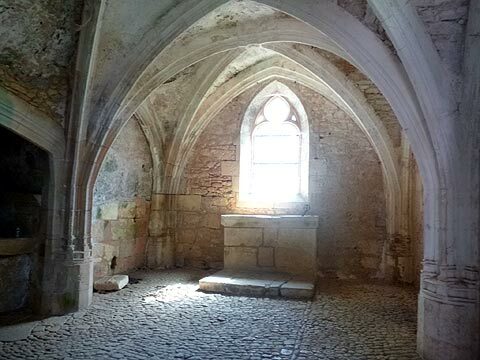 A later Gothic castle was built in the 15th century in the village itself and there is even a small chapel. 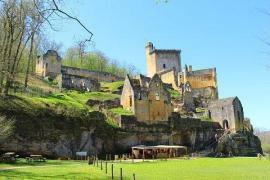 The Troglodyte Village of La Madeleine is at the heart of the Vezere valley with its prehistoric treasures. See around Les Eyzies for our one day guide to some of the key sites. 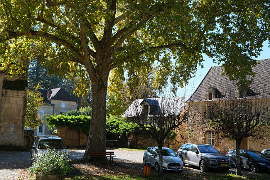 Montignac and the Lascaux caves are a few kilometers to the north as is the pretty Chateau de Losse.